Blonde Descending a Staircase is a video performance referring to the similarly‐named works by Marcel Duchamp and Gerhard Richter. It is also part of the ongoing project “Everybody needs a show,” exploring the themes of fame, intimacy, the invasion of privacy and everyone’s search for a place in society. 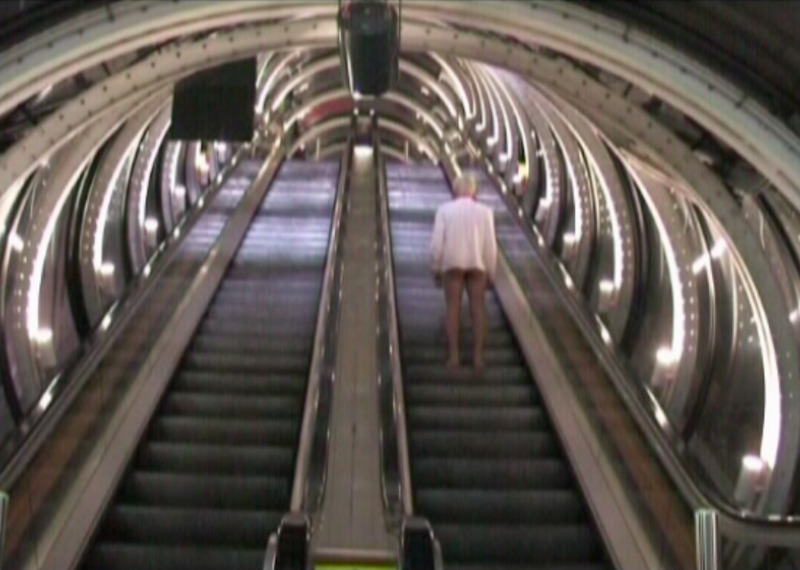 In the video, the young artist ascends and descends ad infinitum and ad absurdum the deserted escalators of the Pompidou Centre in Paris, successively finding and losing his place in the “pantheon” of modern art.